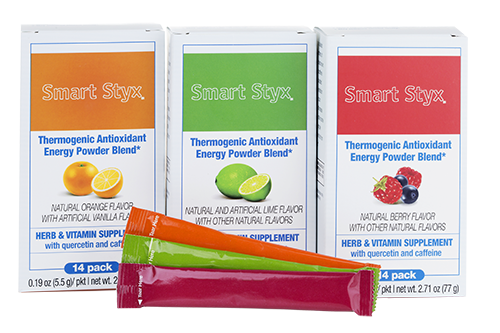 Perfect for people on the go, the small powder packets can be tossed in a purse, gym bag, or luggage. 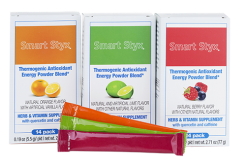 When mixed with water, this energizing powder becomes a thirst-quenching beverage that's great for active people. Experience an immediate, revitalizing burst of energy, giving your body a rush of antioxidants and vitamins beneficial for maintaining sustained energy levels. Other Ingredients: Chicory root extract (fructooligosaccharide), tartaric acid, gum arabic, alpha-cyclodextrins, natural and artificial flavors, colors (FD&C Yellow No. 5, FD&C Blue No. 1), maltodextrin, guar gum, sucralose, silicon dioxide, acesulfame-K.